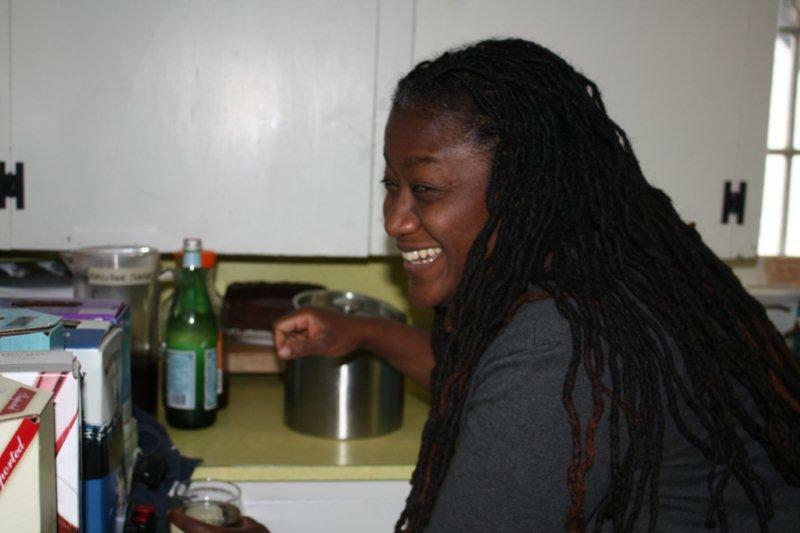 I met Carol-Ann Hoyte last year in Honesdale, Pennsylvania when she attended my poetry workshop. Since then we’ve stayed in touch and I’m always impressed by her many activities. As many of you know, Carol-Ann and Heidi Bee Roemer have teamed up to produce a book of sports inspired poems called AND THE CROWD GOES WILD! which is coming out soon. She’s an active poet and student of poetry. The other day she appeared on a program in Canada (she lives in Quebec) that features two other personalities joining her in a good talk about rhyme and rhythm. I think you will enjoy watching so it’s my pleasure to provide this link. It’s in this quick note from Carol-Ann. On May 28th, I participated in a panel discussion which TVO (TVOntario) aired as part of its Parents Book Club feature. BULLETIN: I’ve mentioned before that I’m joining with Eileen Spinelli and Rebecca Dotlich to hold a poetry workshop in Honesdale, Pennsylvania. The date is May 13-17. I’m told that the workshop is getting full. Expectations are that it will be filled by the end of December. If you are thinking about joining us, please look into it soon. Just a reminder that I’m hoping to see several of your poems posted for New Year’s Day. I haven’t finished mine yet but I’m working on it. The first draft was awful; way too serious and proud of itself. I think I’ll start over rather than try to fix the unfixable. Then there’s the wonderful opportunity to contribute a sports-related poem for Carol-Ann Hoyte’s collection. The deadline for that is the last of March. And of course there’s our Word of the Month poetry challenge. The word for December is FAITH and many of you have not contributed. That includes me but I have, uh, faith that I will.